Unfortunately, traditional methods of managing appointments such as over the phone, by e-mail or in-person are neither effective nor efficient. Depending on the number of appointments booked on a daily, weekly or monthly basis, this seemingly simple task can have a significant and negative impact on how an enterprise runs and, ultimately, its bottom line. There’s a simple solution for enterprises looking to automate, streamline and improve the booking process: online appointment booking software. Enterprise Appointment booking software instantly improves the way businesses and organisations book and manage their appointment processes by giving their clients the ability to book their own dates and times online and at any hour of the day, not just during normal business operating hours. Just as the scopes of business vary greatly among enterprises, so too do the types of appointments that can be self-booked with online appointment booking software. Online appointment booking software improves the process by giving the client the ability to book their own dates and times online and at any hour of the day, not just during normal business operating hours. • Lessons, meetings and general services. • Physical training and exercise classes. • Workshops, seminars and events. Whether appointments are booked over the phone by staff, submitted by clients by e-mail or fax, or made in-person, a manual booking process requires a significant amount of staff time and resources that may not be immediate apparent when analysing its effect on overall operating procedures. The booking does not end when a date and time is confirmed. Information related to the booked appointment must then be managed and maintained. Automating the booking process through online appointment booking software and its self-booking functionality has instant benefits not found in traditional booking methods. Time savings as staff spend less time on the phone adding, cancelling and modifying appointment bookings. Online appointment booking software also eliminates or significantly reduces time spent managing client contact information, returning voice mail and e-mail messages, and on appointment reminders. Greater flexibility and convenient for clients, as they’re able to book their dates and times 24 hours a day, not just during normal business hours. A dramatic reduction in errors such as over-bookings, incorrect appointment dates and times, and inaccurate client information. Greater accessibility to appointments booking details, client contact information and related data, as these can be viewed from any Internet-connected device. Online appointment booking software for enterprise businesses and organisations uses a Software as a Service (SaaS) model completely accessible online. Unlike more traditional software programs limited to an individual computer or network, cloud-based appointment booking software is securely and safely housed on external servers and maintained and updated by the service provider. Adoption rates for online appointment booking software and other cloud-based applications continue to grow at a fast pace, as evidenced by findings in a March 2012 IBM survey released at its Pulse 2012 conference that predict the number of enterprises turning to cloud computing will double by 2015. • Automated e-mail and SMS text message reminders sent prior to a appointment time. • Record-keeping and reporting capabilities that allow for quick and seamless data collection, management and retrieval. • Customisable staff access types that allow enterprises to grant different access levels to staff (for security purposes). The appointment booking needs of enterprise-level businesses and organisations typically stretch beyond the standard features and functionality of online appointment booking software systems, given the size of their operations and the number of separate locations they run. 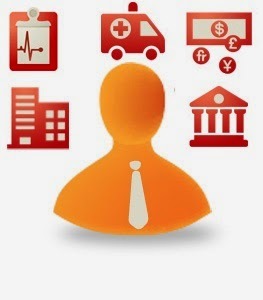 Some online appointment booking software providers have developed services and functionality specific to these needs. • High scalability of the system. This is important for enterprises, as it allows them to accommodate large numbers of appointment bookings, staff, and clients across multiple locations. • Unlike more traditional software programs limited to an individual computer or network, cloud-based online appointment booking software is securely and safely housed on external servers and maintained and updated by the service provider. • Web services that integrate into existing software and booking processes already in use at the business or organisation. • High configurability to accommodate more specific and advanced booking needs. • Readily available customer support from locally-based representatives. • Dedicated business and support contacts to quickly address questions, concerns and requests. Given the knowledge, experience and manpower necessary to sufficiently provide advanced functionality, it’s offered only by a few online appointment booking software providers. Implementation of online appointment booking software depends upon how it’s to be used and any advanced functionality included with the service. Given the unique considerations of enterprise-level organisations and businesses, the online appointment booking software provider will typically assign a representative to work with them on their specific needs, integrations, system settings and other necessary steps to employ. Although some features and functionality come standard with some online appointment booking software systems, they can vary widely among the many service providers. A current analysis of both current and future needs can help enterprises in the selection process. Creating a specified workflow typically requires the most time in the analysis process, and a provider should utilise the services of a specialists experienced with multiple variations of the booking processes. Enterprises of all sizes and scopes of business can instantly benefit from online appointment booking software for booking a wide variety of services, events and activities. Implementing such a system not only makes the booking process more convenient and easier for clients, it can translate into significant time and monetary savings, greater efficiency for staff, and a complete automation of booking procedures from start to finish. The flexibility and functionality of some online appointment booking software mesh perfectly with the unique booking needs of enterprise-level businesses and organisations, making online appointment booking software the best choice for transforming this necessary, but oftentimes burdensome, task. To learn more about enterprise appointment booking software and how it can improve your booking processes, visit bookitlive for Enterpise.